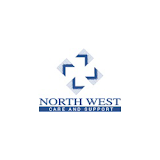 COMMUNITY CARE WORKERS – we have block rotas – morning, lunch, tea and bed in Gortin/Plumbridge. We also have a bed rota (7pm – 11pm) available in Gortin. If you hold a full driver’s licence and have the use of a vehicle we will provide full training in our in-house academy. Copyright © Prosparo Healthcare 2018. All rights reserved.